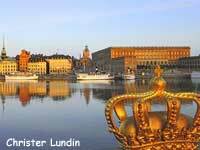 During the excursion we’ll show You the capital of Sweden the city of Stockholm and will tell about history of this amazing city as well as about modern Stockholm. 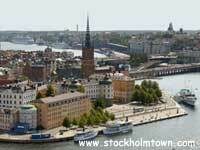 Kungsholmen, Södermalm, Djurgården, Gamla Stan are the isles where Stokholm has stretched out. You shall see the administrative and trading centres of the city, the political centre of Sweden, Riksdag, Opera Theatre, and Drama Theater. You’ll ride along the most fashionable street of the city, Strandvägen. You’ll glance at Diplomatic quarter, have a walk near the City Hall, Sweden’s symbol and the place where an annual Nobel banquet takes place. And you’ll see many other captivating places. We shall start for Djurgården island, which has been called the Museum Island, since the most famous museums have been concentrated here. Among them is he Vasa Museum, where the world’s unique 17th century frigate has been exhibited, Junibacken Museum dedicated to Astrid Lindgren’s literature characters, Skansen Museum, the world’s first open-air museum of ethnography. Throughout summertime you may also visit Gröna Lund, a famous Stokholm’s amusement park. .
To the conclusion of the excursion we shall visit the so called Gamla Stan or the Old Town, the historical heart of Stockholm, where “every stone is imbued with history”. On the place where the modern Royal Palace stands, a defense tower “Three Crowns” had been erected in the 13th century, and the town grew up around it. 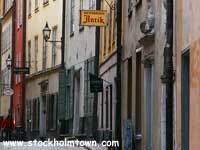 In the Old Town you’ll sink into the enigmatic atmosphere of the Middle Ages.